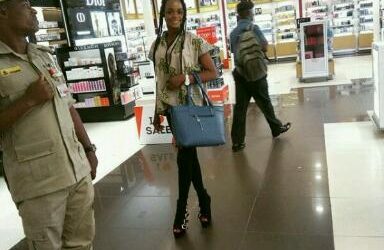 Breadseller turned model, Olajumoke Orisaguna, has travelled to South-Africa, her first ever trip out of Nigeria. Olajumoke became popular last year after she photobombed the photo shoot of rapper Tinie Tempah by TY Bello. According to a Punch report it is not exactly known why she travelled to South Africa.